Registration applications for MIT GSW 2019 are now open! Selected applications will receive free tickets to attend. For more information, see the Registration page. Make fruitful connections with investors, government officials, corporate representatives, and more. 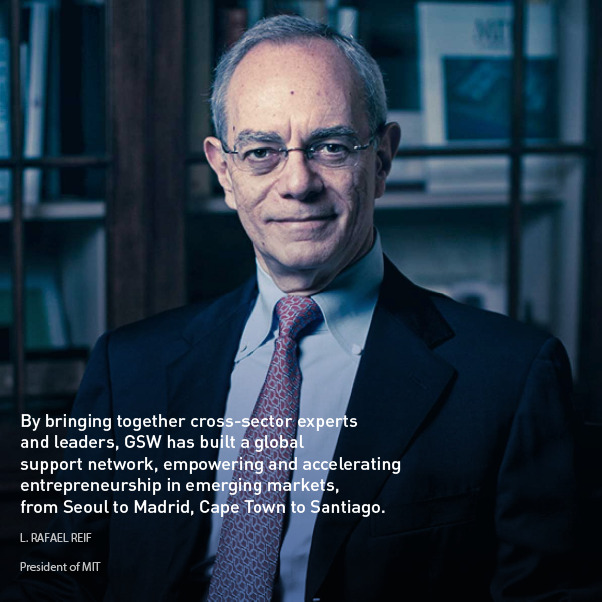 from Seoul to Madrid, Cape Town to Santiago. Copyright © 2011-2019. Massachusetts Institute of Technology. All Rights Reserved. For more information please contact gsw-contact@mit.edu.